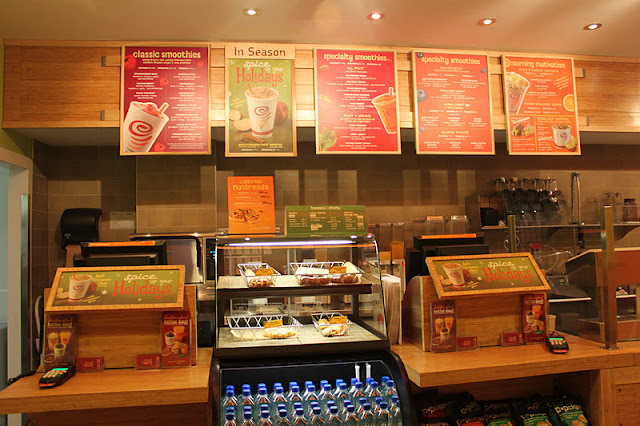 I first came across Jamba Juice when I was living in California in 2000. It was an easy place for me to get my smoothie fix without having to whip out my own blender and go shopping for fruit. 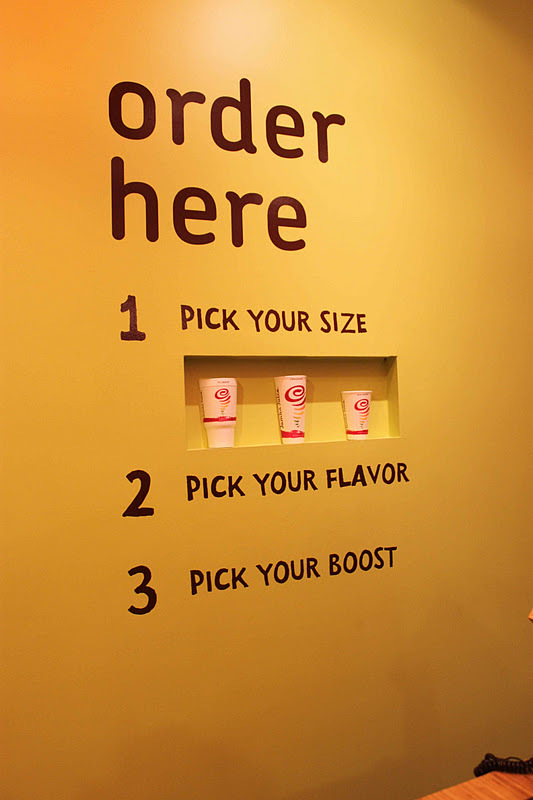 After returning to Canada, there was no equivalent until Booster Juice finally went widespread across the country. 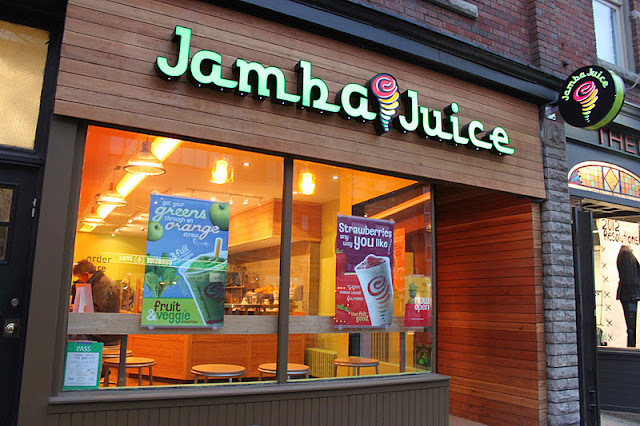 Now almost 12 years after my first encounter, Jamba Juice has opened a location in The Annex, Toronto and I'm ecstatic about them finally coming to Canada. The smoothies are made with real whole fruit and without preservatives, high-fructose corn syrup and trans fat. 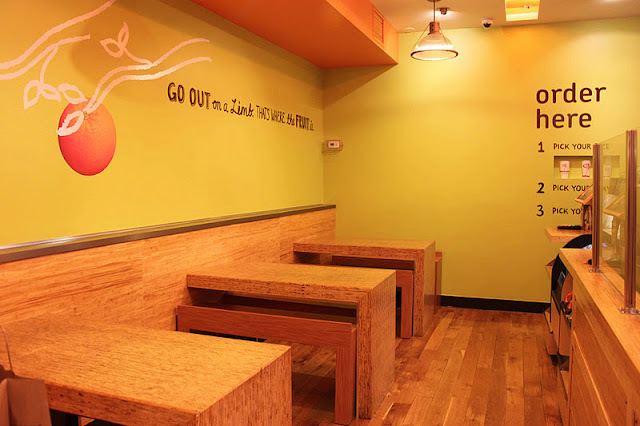 Each location is individually franchised in Canada and the smoothie empire has over 750 stores internationally. 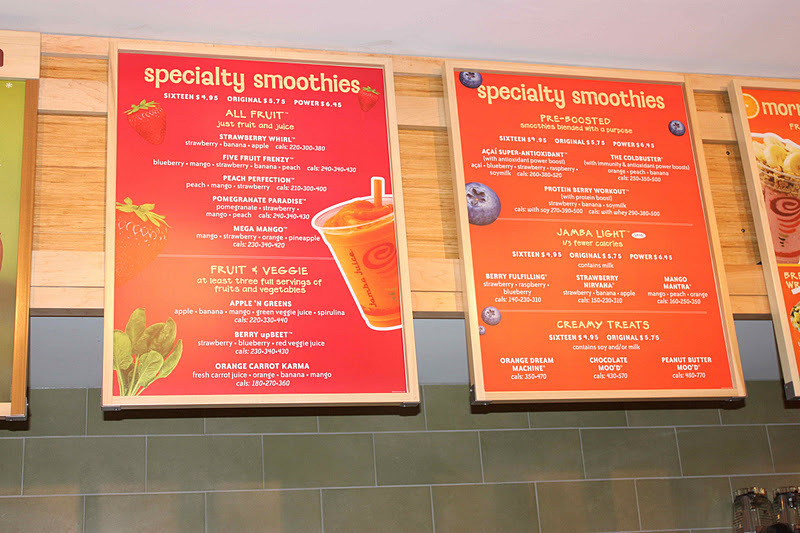 For your first visit, try a smoothie off the classic menu like Banana Berry or Aloha Pineapple that's made with real juice, whole fruit, sherbert, sorbet or frozen yogurt. Banana Berry tastes like a strawberry banana smoothie - so if that's your usual go to, you might want to start here. If you're lactose-intolerant or vegan, try an all-fruit smoothie which comes in at under 250 calories. 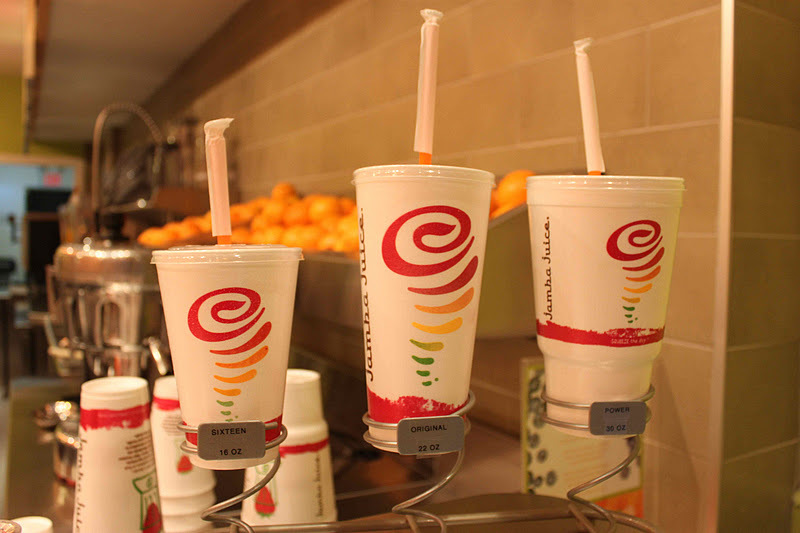 The Jamba Light menu is made with Splenda or you could go with just straight up freshly-squeezed juice. You're looking at around $5/pop for a 16 oz smoothie. Keepin' it simple when you order. I sometimes get a protein or vitamin shot in my smoothie if I'm replacing a meal or looking for a filling snack. 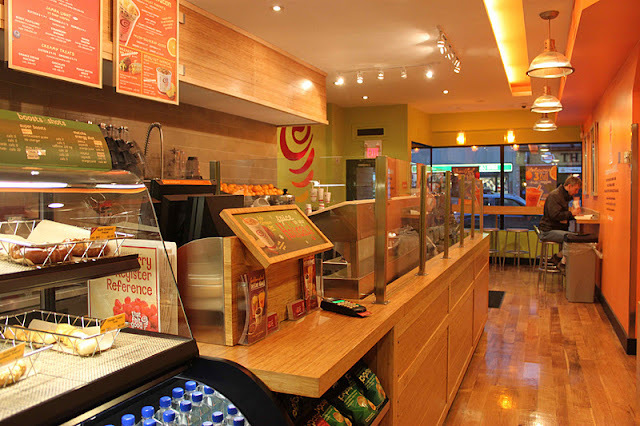 A second Jamba Juice location will be opening inside Yorkdale Mall March 2012, with another location opening on Avenue Road the week after. A third location is planned for Main Street, Milton. Where do you go for your smoothie fix in Toronto?